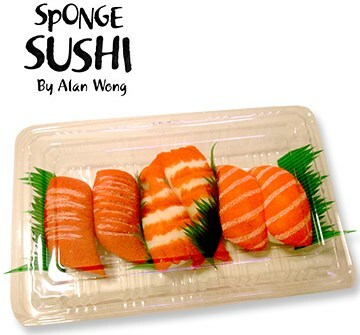 This new Sponge Sushi box contains all three pairs of the most popular sushi types - Salmon, Tuna and Shrimp. You can make them appear, multiply and transform in your hands or your spectator's hands using your favorite sponge routines. You can easily palm all six pieces in one hand. Looks real enough to eat! Note: Does not include thumb tip, silk or instructions.